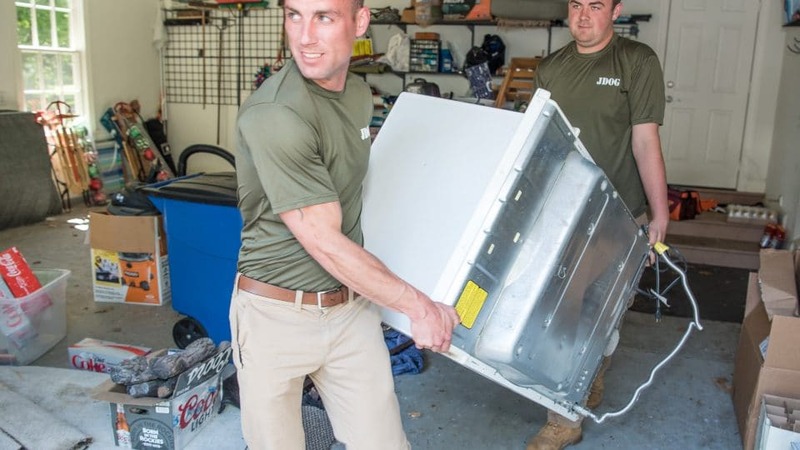 JDog Junk Removal and Hauling is a team of Veterans, Veteran and Military family members offering junk removal and hauling services for homes and businesses in Baton Rouge, Louisiana. Striving to make the capital of our state a better place, we serve you with Respect, Integrity, and Trust—the same values we lived by in the Military—and donate and recycle 60% to 80% of what we haul. Tackling projects big and small, we help members of our community when they’re demolishing their porch, renovating their storefront, updating an office building, and replacing bedroom furniture. JDog Junk Removal & Hauling is ready to serve our neighbors in the Red Stick. Give us a call today at 844-GET-JDOG.